The UK central bank has warned domestic GDP could fall 8 pct in a disorderly Brexit scenario. A deal more akin to the state’s exit plan could lead to a 0.75 pct dip. That helps Prime Minister Theresa May’s deal, but maybe not enough to get it through parliament. 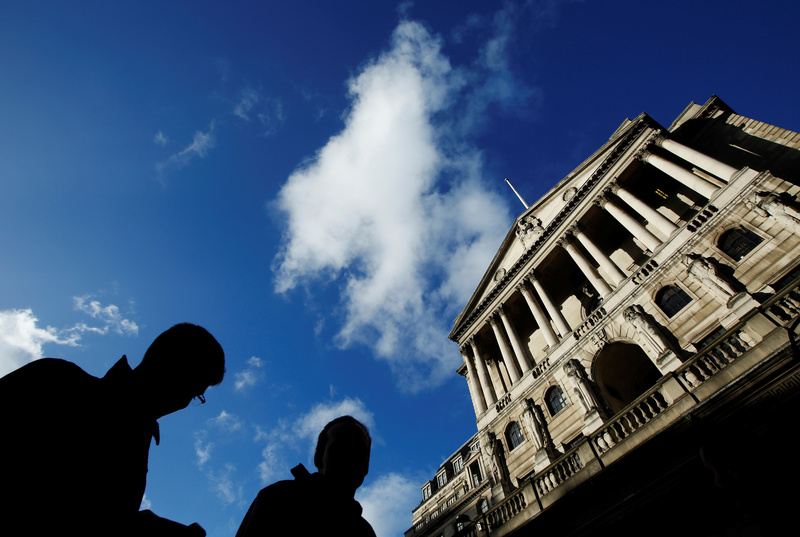 People pass the Bank of England in the City of London January 16, 2014. The Bank of England has warned that Britain risks a bigger hit to its economy than during the global financial crisis a decade ago if it leaves the European Union in a “disorderly” manner in March next year. Britain’s economy faces contracting by 8 percent in the space of about a year — compared with 6.25 percent in the crisis — in response to severe border delays and financial markets’ loss of confidence in British institutions, according to a BoE report on Brexit scenarios published on Nov. 28. In a separate report also released on Nov. 28, the BoE said all seven UK banks and building societies passed this year’s stress test to demonstrate their ability to withstand any disorderly Brexit next March without having to curb lending. “Based on a comparison of this scenario with the stress test, the FPC judges that the UK banking system is strong enough to continue to serve UK households and businesses even in the event of a disorderly Brexit,” the Bank’s Financial Policy Committee said in its twice-yearly Financial Stability Report on Wednesday. As a result, no bank needs to strengthen its capital position as a result of the stress test. Parliament is due to vote on Dec. 11 on Britain’s divorce settlement and transition deal with the EU, but it is unclear if it will be approved, raising the prospect of a no-deal Brexit.